E-liquid vs Tobacco | A reason to Stop Using Tobacco? Since Electronic Cigarettes hit the UK market in 2007 over 2 million british smokers have made the switch from tobacco to E-liquid, but have you ever wondered why? This page will explain some of the benefits of becoming a vaper. There are over 4000 toxic chemicals contained within tobacco smoke, of which around 70 are known to cause or aggravate cancer. These are known as carcinogens. Although I can’t sit here and note them all for you I can name a few of the more recognisable ones. E-liquid contains none of these. 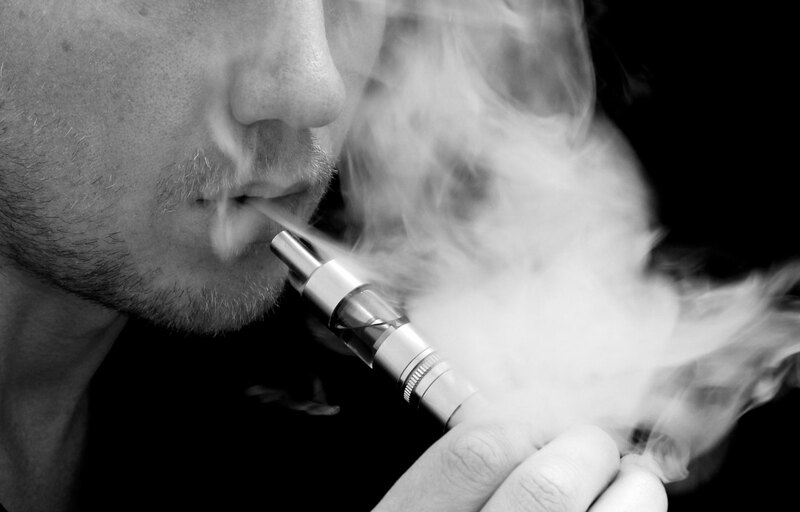 The only thing users breathe in and out when vaping an electronic cigarette is water vapour and a little food grade flavouring (a study posted in the New York Times back in May 2014 stated that, at high enough temperatures, the nicotine vapourized in E-liquid can develope Formaldehyde, but experts have presented many flaws in the study. The cost of E-liquid in comparisson to tobacco is one of the biggest draws when considering a switch to electronic cigarettes. While using disposables can be just as expensive as buying cigarettes, using refillable tanks can save you a packet. The average cost of a pack of twenty cigarettes is around £8 and if you’re a twenty-a-day smoker, that’s a lot of lolly. Buying an electronic cigarette can cost just £20 with a free bottle of E-liquid and that’ll last you around 4-10 days dpending on how much you smoke. Then when you run out you can keep your E-cigarette and just purchase a new bottle of E-liquid for around £4. While a smoker can go through a pack of twenty in a day, a 10ml bottle of E-liquid is likely to last between 4-10 days. This is obviously dependant on how heavy you use the electronic cigarette but even if you last 4 days, thats a saving of around £28. Smoking tobacco has a few issues when it comes to public health and usability that you don’t have to worry about when you use E-liquid. The smoking ban of July 2007 forced smokers to adjust their routine. You could no longer smoke in public places such as pubs, restaurants or on public transport and this unsettled a lot of people. With electronic cigarettes you can potentially use them anywhere, whether it be on a bus, down the pub, or even in the workplace. Using E-liquid doesn’t give off any nasty smoke which bystanders can inhale so you’ll find that most public establishments don’t mind you vaping on their premises. I think we can all agree that tobacco smoke absolutely stinks. Whether it be in the fabrics of your clothes or on your breath, nobody likes smelling like a cigarette and bystanders don’t want to be near you. E-liquid gives off little or no odour and when it does it’s a subtle, sweet fragrance that the vast majority of people don’t mind. There’s another reason why you don’t have to step outside to use your e-cig. In the period between 2012-2013, the UK government reported that smokers materials such as tobacco, pipes or cigars were the primary cause of ignition in 6% of house fires in the UK. Fires were sparked through misuse of this equipment, for example throwing a still lit cigarette into the kitchen bin, or falling to sleep with a cigarette in your mouth. Because electronic cigarettes don’t rely on combustion there’s no real risk of causing a fire when mishandled. There have been recent reports of some electronic cigarette chargers causing the battery to explode but this is all down to the quality of the product. Manufacturers also state that when charging an e-cigarette you should be present at all times in case of an overcharge explosion. I used to like smoking, I really did! There was nothing better than taking a drag on a cigarette and feeling that throat hit. But since I moved on to electronic cigarettes I have found vaping to be far more pleasurable, and that goes for over 2 million UK electronic cigarette users. One reason people prefer the experience of vaping over smoking is because there are a lot of flavours to choose from. Whether you like a good menthol flavour or have a sweet tooth, there’s always a flavour out there that you’ll love. One thing vapers tend to do is knock doen the strength of the nicotine content in stages. So a smoker will start out on 18mg E-liquid then after a few weeks he may want to decrease the nicotine percentage to 12mg. Then later switching to 6mg before completely removing any nicotine from E-liquid. Sometimes you’ll find that you have two flavours you like that you think would go well together. Cherry mixed with menthol is a popular one, or banana mixed with vanilla. It’s perfectly fine to mix e-liquids and a lot of people do. At vapourcigarette.co.uk we aim to bring you the best deals on E-liquid and premium e-juices available in the UK. The companies we choose to source from are renowned manufacturers with excellent reputations for their production and flavours and we aim to keep adding more and more. Here you will find many brand from around the world including some of the most sought after E-liquids in the UK market today.